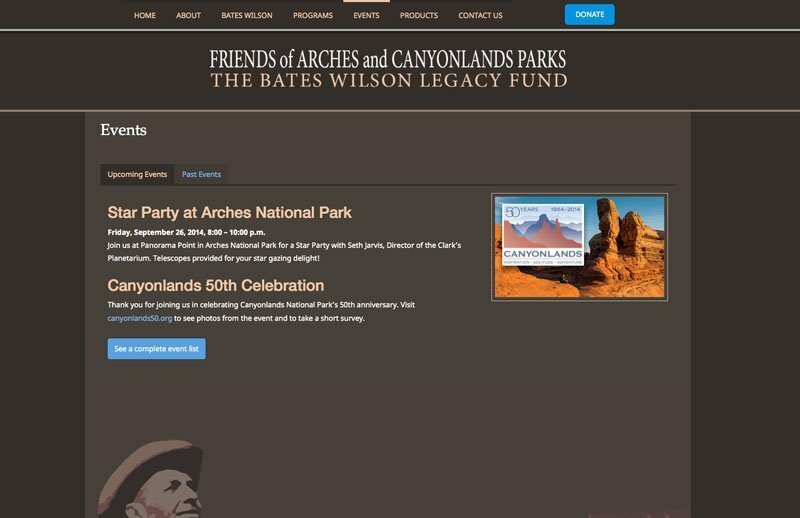 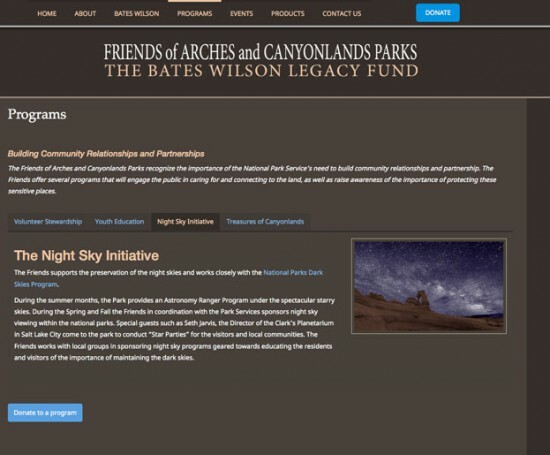 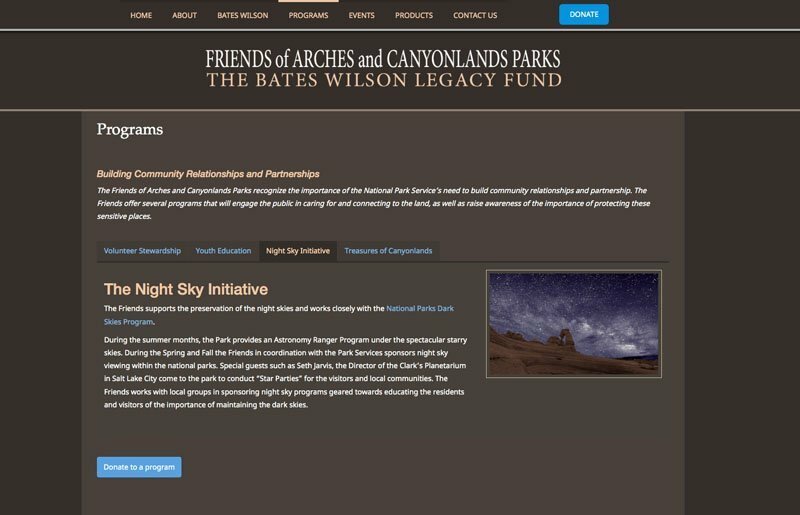 Friends of Arches and Canyonlands Parks: The Bates Wilson Legacy Fund preserves and promotes values of exploration, collaboration and stewardship of Southeast Utah National Parks and Monuments. 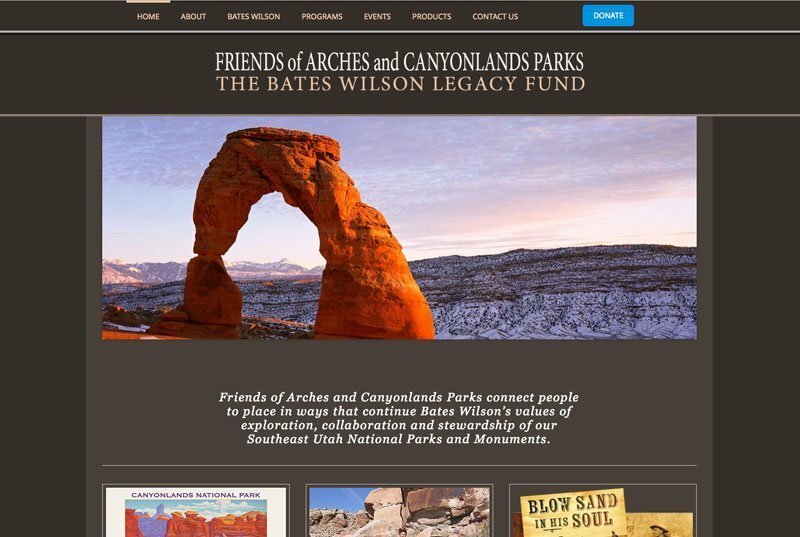 The Friends of Arches had a well designed site built in Cold Fusion by Neal Herbert, but found themselves having to return to the designer whenever they needed changes. 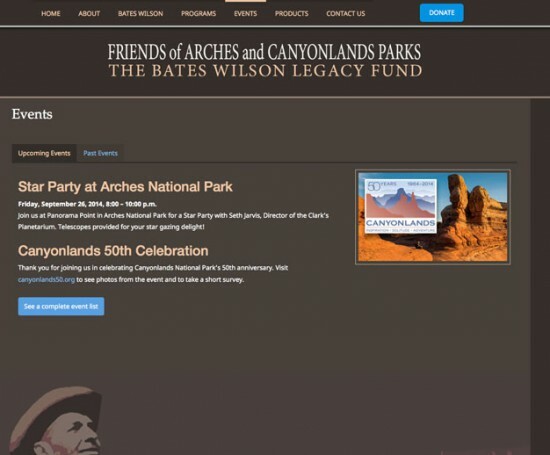 This became difficult for them when changes needed to happen more frequently as they neared the Cayonlands 50th event that they were developing, and in anticipation of higher levels of traffic to the site. 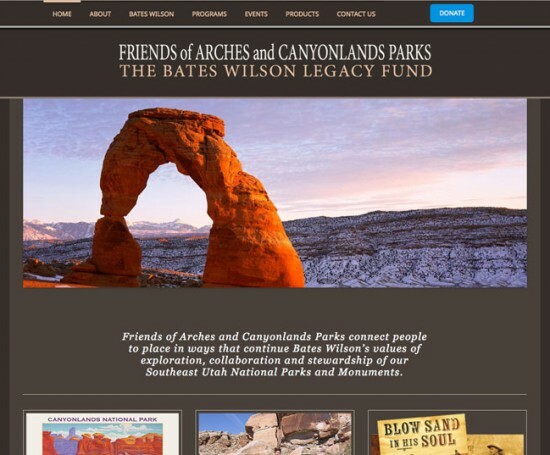 I converted the site from ColdFusion to WordPress, retained the basic design, expanded the flexibility of the navigation, and provided for a variety of page layout solutions, including tabbed sub-pages.